I work on helping clients avoid the uncertainty and disputes that can arise without effective estate planning. I also enjoy working with the next generation of lawyers on how to create estate plans that may last for decades. 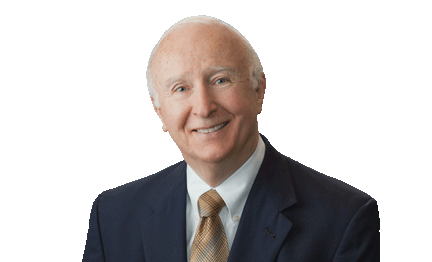 Joe Royce focuses his practice on estate planning, wealth preservation and transfer, administration of trusts and estates, and the operation of charitable foundations. He has represented a variety of clients in estate planning matters, from wealthy families that need highly-customized estate planning and succession strategies to individuals who need less complicated planning, in all instances striving to avoid unnecessary conflict and expenses. Joe also guides family members and executors through each step of will probates and estate administration, including asset appraisal, preparing and filing of estate tax returns, paying debts and taxes, and making certain distributions are made to beneficiaries as the decedent intended. He also advises the firm’s litigators on a variety of issues that arise in estate-related disputes, including interpretation of highly-technical document provisions, other will construction issues, allocation of expenses and taxes, and the ramifications of settlements. As both trustee and attorney for several private charitable foundations, Joe handles many aspects of their operations, including scheduling and documenting meetings, executing strategic plans, grant budgeting and scheduling, and interfacing with financial advisors. Representation of estate/trust beneficiaries in review of accountings of executor/trustee, resulting in addition of substantial value to trusts for the clients. Negotiation and implementation of agreement on behalf of estate beneficiary having significant impairments to provide for lifelong professional management of assets available to the beneficiary through her father's estate. Representation of fiduciary (executor/trustee) under will having individual and charitable beneficiaries which involved reformation of testamentary trust to provide substantial tax savings, settlement with individual beneficiary and his estate and appropriate distribution of assets to charitable beneficiaries. Representation of executor of decedent's estate whose beneficiaries included second wife and children by a prior marriage, with issues including tracing of community and separate property assets, negligence and contractual indemnity claims of third parties against the estate and appropriate disposition of unique assets, resulting in settlement of claims and comprehensive agreement among all beneficiaries regarding administration of estate and distribution of all assets. Representation of successor trustee under one spouse's will in review of accountings by executors of estate of surviving spouse/original trustee and negotiation and settlement of amounts due. Advice to fiduciaries and to beneficiaries under wills and trust agreements as to respective rights and responsibilities and procedures involved in fiduciary management of assets. Representation of clients before Internal Revenue Service regarding estate tax and gift tax disputes.